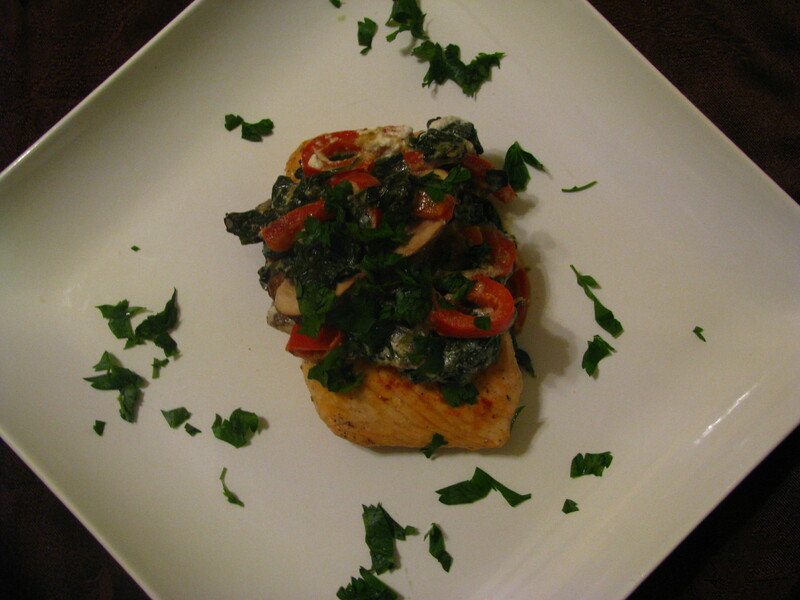 Salmon is always a good choice to cook with something. I took some garlic, red bell peppers, spinach, baby portabello and goat cheese, and turned it into a cheese sauce. Then I topped with some parsley. This is another dish that is healthy but has a little yummy goodness to it. ENJOY! Next Post Eulogy Tavern and Triumph Brewing Company In Philly! That’s great! I’m so glad that is my go-to meal after a tough workout!